Posted on November 16th, 2018. 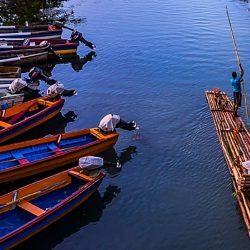 Once you’ve made the sensible decision to travel to this world-class resort, you will be curious to know about the many fabulous things to do in Half Moon Bay, Jamaica. So let’s get started …. This magnificent private resort is cleverly distributed over a 400 acre site lying on the northern shores of Jamaica. At a mere 10 minutes transfer time from Montego Bay Sangster International Airport, you can touch down and be checked in at Half Moon Bay resort in the shortest of times. The Airport has its very own Half Moon Bay meet/greet area where you will be welcomed with five-star courtesy and the natural charm of the Resort’s staff. At Exceptional Villas, we can arrange for your very own private transfer if you wish to make your transfer even more exclusive. Whatever you desire, you will soon discover is waiting for you within the boundary of probably one of the loveliest resorts to be found in the Caribbean. What Makes Half Moon Bay so Special? This is probably one of the very easiest questions to answer. 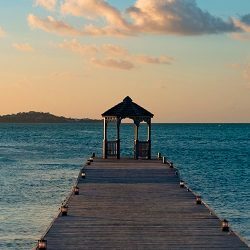 Put simply, the Resort has grown out of a passionate love a select group of families felt for Jamaica and most especially the area of St James just outside of Montego Bay. During the history of Jamaica, in the mid-1950s this group of individuals joined forces to acquire the old sugar plantation on which the current Resort is built. They constructed attractive bungalows and beach cottages that captured the style and fashion of the 1950s. 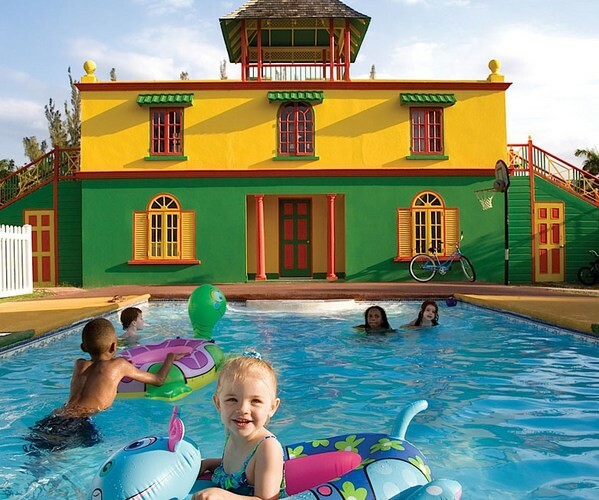 These holiday homes were a refuge from North American winters and the families continued to visit each year to enjoy gloriously balmy weather, sunbathing, swimming and dipping in and out of the party scene in Jamaica. For more on the climate – see our Jamaica Visitors guide. 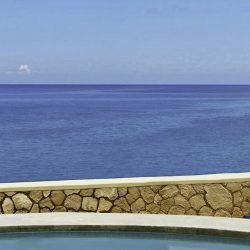 Overtime, this colony evolved into a sophisticated Resort that now offers some incredible Half Moon Bay activities in the form of golf, tennis, squash, every conceivable water sport, yoga, horse-riding, fine dining and divine spa treatments – making it one of the best places to visit in Jamaica. Some of the original families still have connections with this privately owned Resort so it has never lost the purpose for which Half Moon Bay was originally built: namely, a haven of tranquillity and fun in a quiet corner of paradise. The true soul of Half Moon Bay is as alive today as it was over 60 years ago. The moment you step onto Half Moon beach at sunrise or sunset you will instantly feel this incredible connection between man and nature and past and present. So, why is Half Moon Bay so special? It’s simply magic! So to get back to what incredible activities await you as a guest in this magical location, I will give you my top picks. I really do love animals but always felt somewhat intimidated by horses. Well, they’re just so big! It took a trip to Half Moon Bay to build my confidence around these wonderful creatures. The equestrian staff at the Half Moon Bay stables allowed me to meet my new best ‘friend’ over the course of a couple of days. In a short while, I was ambling along, at a very gentle pace, on the most placid horse. The expertise and understanding by the staff was so welcome and I still consider it one of my greatest achievements to get on a saddle. I was so impressed as well by the level of care shown to the horses at the Half Moon Bay horseback riding stables. The horses have an enjoyable life, they are cared for through illness or injury. They are part of the family. I was told that guests who return year on year, always want to visit their old equine friends for a day out riding through the waves off Half Moon beach. It’s impossible not to fall a little bit in love with your own special pony. I think it’s just one of those holiday romances that lasts forever. Such a short word ‘spa’ but it tells a very special story at Half Moon Bay. I do love a really good massage on my first day at any Resort. It’s an opportunity to work all of those stress-kinks from my work life or from the flight to Jamaica out of my system. The delicious massages available on the Half Moon Bay spa’s menu range from holistic treatments that involve passive stretching, to deep tissue massage or shiatsu. 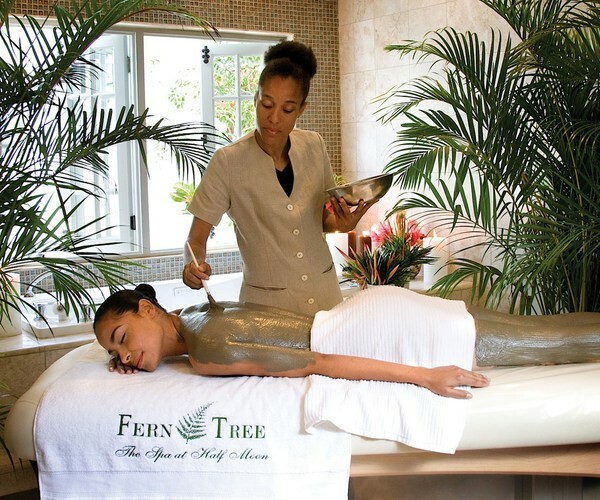 Whether you want a vigorous or enlivening treatment or perhaps something more soothing and spiritual, the Fern Tree Spa at Half Moon Bay can tailor-make the perfect massage for your personal needs. Other particular favourites of mine from the Spa menu are the divine body treatments that capture all of the wonderful natural ingredients found on Jamaica. How about a Coffee and Coconut body treatment? If you try the Allspice and Sugar scrub your senses will be assailed by the aroma of delicious festive delicacies. The Elemis Devil’s Mint treatment is wildly refreshing and the Aloe Vera and Lavendar Wrap is just waiting to soothe any skin that might have taken a little too much sun. 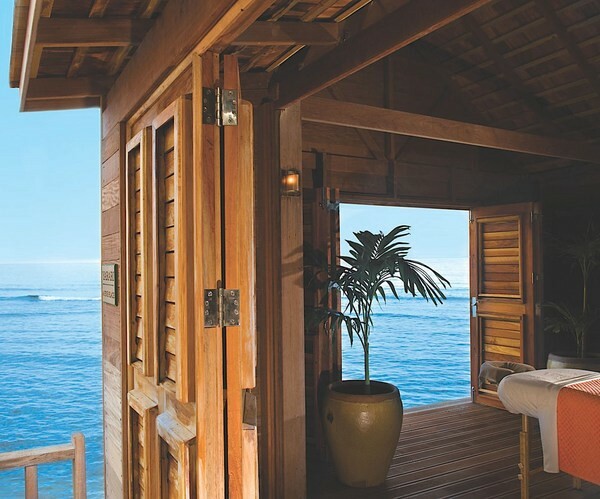 Don’t forget the 12 amazing treatment rooms, some perched over the Caribbean itself, are for both men and women. As you are wrapped in some beautifully scented products, dozing to the sound of the Caribbean gently lapping underneath the treatment bungalow, you will find a level of relaxation previously unknown to you. The competitive among you probably love nothing more than a vigorous game of tennis or squash to punctuate a day of fun activities. With 11 flood-lit courts within the Resort, a lively game can be enjoyed at most times. The internationally accredited tennis and squash pros can offer you or your children fantastic tips or training at their clinics. I am told there are always improvements to be made in one’s sport – even if you are a champion. For the more somnambulant guests the Half Moon yoga experience is divine. 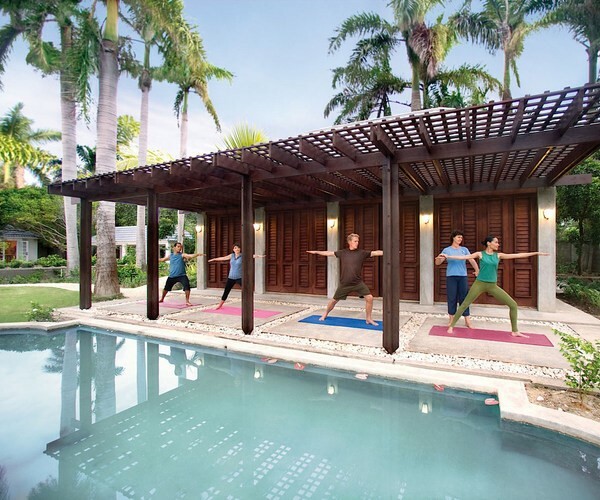 Taking place at one of the beautiful outdoor pavilions, you can greet the dawn or honour the sunset, led by one of the Half Moon yoga gurus. I must confess, I can barely kick a ball out of my way but even I was persuaded to try the Half Moon Bay golf club. Mark Twain might have described golf as “a good walk spoiled”, but I am thinking if he had ever been as fortunate to get out onto this dazzling course, designed by the renowned Mr Robert Trent Jones Sr, he would have to change his mind. 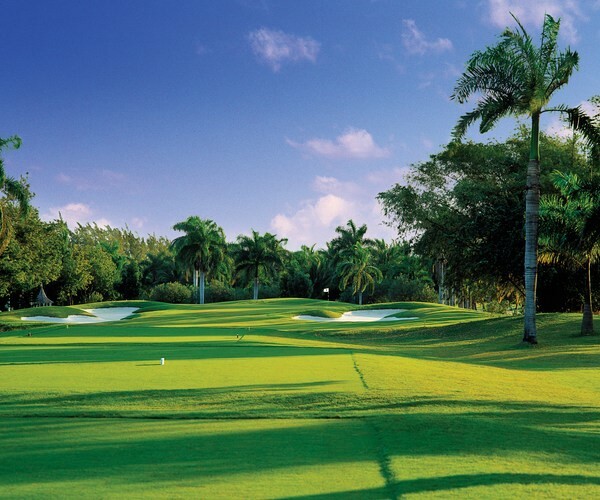 An 18-hole, par-72 course, spread across some of the most scenic landscape ever, this is a golfer’s dream. The near proximity of the White Witch and Cinnamon Hill golf courses, make Half Moon Bay golf course a wonderful destination for the keen golfers who like the challenge of a few different courses during any vacation. Let’s just say, I set a new record going around for the most shots ever over very easy terrain. It might be time to get those lessons! With two miles of private beach front that curves tantalisingly around the Caribbean, you are perfectly positioned to enjoy any number of exciting water sports either on or under the water. Some of the recommended things to do in Jamaica, Half Moon Bay is the parasailing where you glide over the water and enjoy a bird’s eye view of the resort. 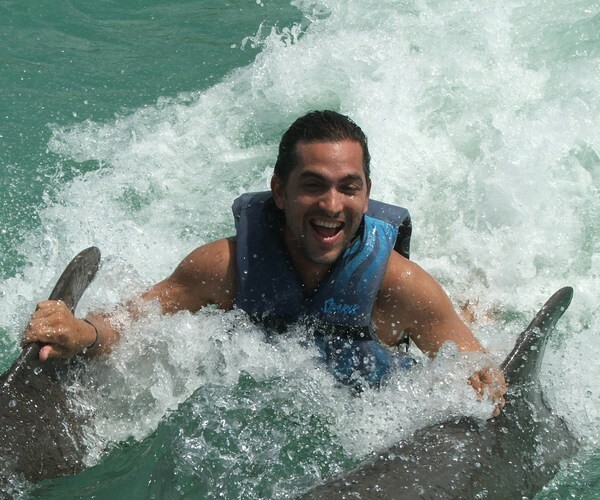 Getting out on a Hobie Cat is another of the memorable activities. If, like me, you love to return from a holiday with a proper new skill, then you can arrange to get your PADI qualification as a diver while you vacation. Jamaica is a country whose tropical climate ensures that the most delicious fruits and vegetables proliferate all over this large island. Pineapples, bananas, mangoes …. It’s just one long list of gorgeous fresh produce. To complement this profusion of glorious plants, there is a wide variety of meats and seafood available all year round, making ‘cooking with love‘ easy in Jamaica. The resident head Chef Christopher Golding at Half Moon Bay, has devised a series of dishes that capture the unique combination of Jamaican flavours and traditional recipes while adding a modern twist. For instance, you can try Crayfish Bisque or Ackee Flan that showcase delicious Jamaican foods but with lighter and sometimes less intense flavours. Our timid European or North American palates might not be fully ready for the full jerk experience. Although, I really do suggest you go into Montego Bay and try some wildly spicy local foods so you do get the full Jamaican gourmet experience! Sugar Mill Restaurant within the Resort is considered one of the finest restaurants in the whole of Jamaica. This award-winning venue is also home to the renowned Sally’s Keep bar. With a smart/casual dress code, a few delicious cocktails followed by a sumptuous dinner either in the Restaurant or on the open-air terrace is the highlight of life within the Resort. For guests who want a lighter option, Sally’s Keep offers tapas that can be accompanied by a wonderful choice of wines from the well-stocked cellar. You will have to try the rum. There is a catalogue of beautiful local rums – some as old as 50 years, that have a sweet and honey taste. It’s definitely one of the must-do things to do in Half Moon Bay. To enjoy the social and country club feel of the Resort, I recommend you pop along to Cedar Bar at the heart of the Half Moon Bay resort. The incredible location of this bar allows guests to enjoy breath-taking sunsets. Cedar Bar is where all of the Resort nightlife entertainment takes place. It’s a sociable setting, where guests get to hang out and meet one another. After a memorable evening here, you can walk back to your luxurious accommodation hand in hand listening to the sounds of the Jamaican night and the murmur of the ocean. And this bring us neatly along to my next topic. Romance. 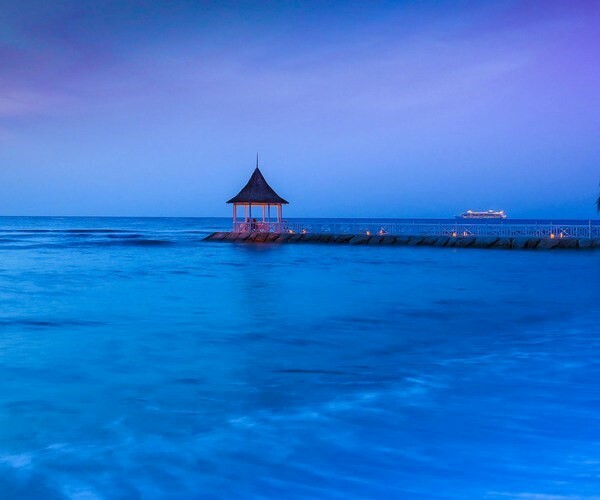 Whether you wish to say ‘I do’ and start your ‘Happy Ever Afters’ within Half Moon Montego Bay or just want to wind back the years and fall in love all over again, this gorgeous corner of Jamaica can create the perfect backdrop on these luxurious Jamaican Beaches. Lovely quiet spaces among the lush gardens of Half Moon Bay or a stroll along the private two miles of pristine beach, it’s all here waiting for you to create that lasting memory. 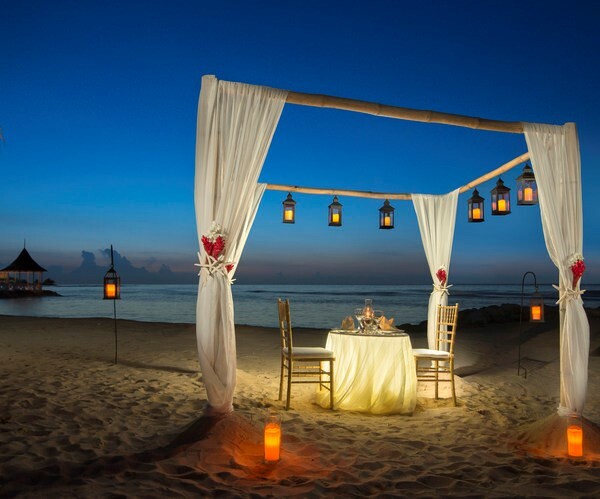 It’s really hard not to feel romantic as you enjoy a delightful picnic on a beach or stroll at sunset or sunrise enjoying the unspoiled views out across the Caribbean. Each of the individual rooms and villas offer private terraces that command views over the landscaped gardens with swaying palm trees, or out over the coast. The intelligence used in designing the Resort ensures there is always a sense of being quite private yet near enough to what’s happening. For young couples with children, there is a fantastic Children’s Village that you can send your little tots off to each day thus allowing you some quality alone time knowing that your darlings are being cared for by expertly trained and qualified nannies. This is a mere taster of the many wonderful Half Moon Bay things to do once you get to the Island. There are outings arranged through the Resort that will take you into the famous Blue Mountains where you can visit the coffee plantations. You can go and explore and enjoy finding out more about reggae music too. Jamaica is, after all, the birthplace of the incredibly talented Bob Marley. The only draw-back to staying at the sublime Half Moon Bay resort is that you will be so occupied with all of the fun, relaxing, exciting and entertaining activities that take place within the boundary of this earthly paradise, that you will hardly have a minute to go and explore more of the island. But don’t fear that you are somehow cocooned in a bland homogenised resort. That is the wonder of Half Moon Bay that you truly feel that you are part of the Jamaican experience. The friendliness of the locals who you help make your time at Half Moon so memorable to the foods you eat, the sounds of nature, the beauty of the landscape. 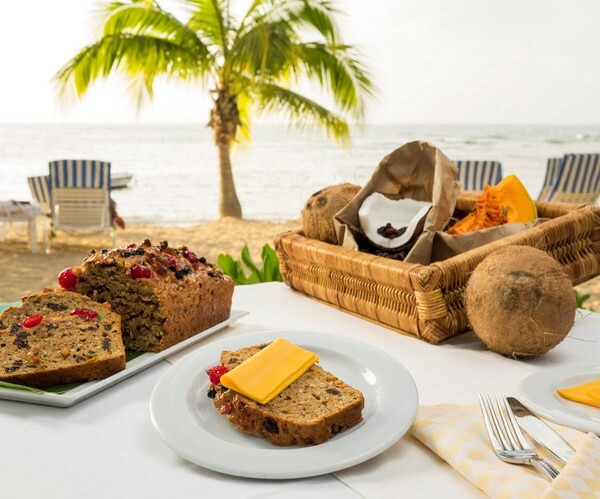 Everything you smell, touch and taste is pure Jamaica and you will feel a true kinship with this amazing island when you spend time at Half Moon Bay, the jewel set in the heart of this Caribbean treasure. Born and raised in Co Kerry, lived in London, New York, San Francisco, Dublin. Owner of one very battered suitcase, a well-worn passport and a million memories. It seems very fitting for a travel writer that my surname translates as ‘Skilled Navigator’. Apart from an occasion when, aged 3, I got lost in a Supermarket in Tralee, I have managed to live up to my name! Curiosity is probably the driver that has sent me on magical mystery tours around the world. I want to ‘feel’ a place. I want all my senses to be engaged: from the history and geography that has influenced a country or city, the arts and achievements of its natives, anything and everything really. Regardless of whether I am on a local train travelling through Morocco, or poking around in Marconi’s study in Bologna or on a canal boat weaving through the heart of the English countryside, the same rules apply - ask questions, talk to locals, eat what they eat, sit quietly with nature and simply be. Assimilate as much as is possible so as to understand the soul of a place. That is my passion. That is the compass by which I navigate.